Jennifer 8 isn’t a terrible thriller but it’s half-baked in spite of OK performances from Andy Garcia (mind you, this is 90s Garcia, so he is a bit cheesy in his delivery), Uma Thurman and Lance Henriksen in a bit seeing playing somewhat against type. The Blu-ray released by Warner is minimal in the features but the audio and video are more than adequate and if you can nab this at sub $10, it might be worth picking up. Plot Outline: Helena (UMA THURMAN) is the key to solving a string of gruesome killings of women. The only problem: she’s completely blind. 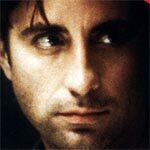 On the case is Detective John Berlin (ANDY GARCIA) who discovers she has been in the presence of the killer but Berlin himself becomes a suspect. Can anyone rely on the testimony of a blind witness? And will the young, vulnerable Helena become the next Jennifer (the code name given by police of the female victims)? 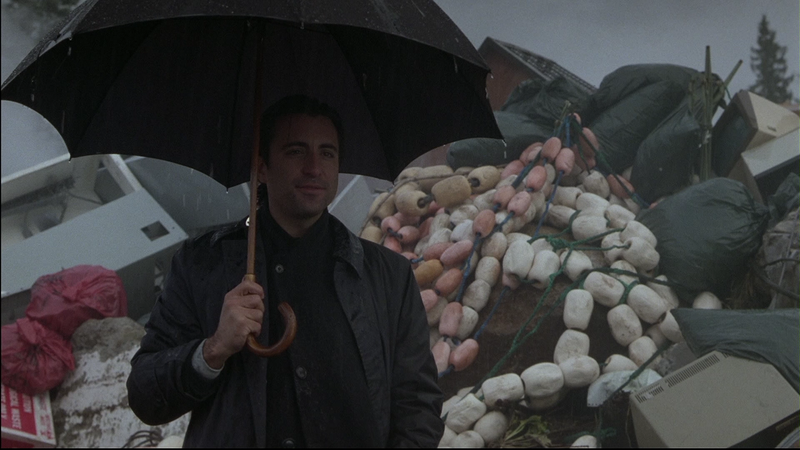 Quick Hit Review: This 1990s thriller meanders somewhat but survives thanks in part to relatively strong performances from Andy Garcia, Uma Thurman and Lance Henriksen. In his cameo appearance, John Malkovich chews up the scenery with Garcia but it’s one of the better highlights of the movie. At 125-minutes, there’s a lot of character development for Garcia as a detective who has transferred to the small police department, however, the payoff is minimal. 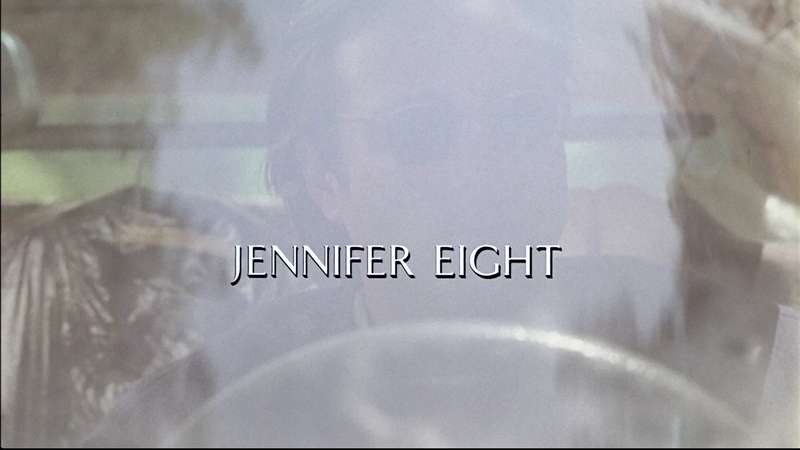 Still, Jennifer Eight is an adequate murder-thriller worth checking out if only once. The only feature is the theatrical trailer (2:24; SD). Warner Home Video, via Paramount, releases Jennifer Eight onto Blu-ray presented with an open matted 1.78 widescreen aspect ratio (originally 1.85) and a decent 1080p high-def transfer. This one is a bit tricky to judge. First, there’s little doubt that this is a solid upgrade over its DVD counterpart, and while the detail levels are quite good, there is a fair amount of grain that, unlike others I’ve seen, don’t exactly look natural. Even so, colors do seem well balanced, the black levels are excellent and I noticed no instances of artifacting, dust marks or scratches. The disc has been given a 5.1 DTS-HD Master Audio lossless track and for the most part, is reasonably impressive. This isn’t going to be a track that will knock your socks off but the dialogue levels sound clear and when there’s any action, the front and rear channels do kick into higher gear. It might not be reference quality, however it should be sufficient enough. Overall, Jennifer 8 isn’t a terrible thriller but it’s half-baked in spite of OK performances from Andy Garcia (mind you, this is 90s Garcia, so he is a bit cheesy in his delivery), Uma Thurman and Lance Henriksen in a bit seeing playing somewhat against type. The Blu-ray released by Warner is minimal in the features but the audio and video are more than adequate and if you can nab this at sub $10, it might be worth picking up.